As a card-carrying, read-in intelligence operative for Hezbollah’s noxious foreign terrorism wing, Ali Kourani was expected to do far more than videotape a Manhattan armory and gather names of Jewish businessmen from LinkedIn to knock off one day (as reported in Part I of this series). He was expected to keep his killing skills sharp. In Part I, I revealed part of what Kourani — a U.S.-educated engineer with an MBA — told FBI agents in a series of confessionary interviews about his alleged double life with Hezbollah’s foreign terrorist service Unit 910. He said it recruited him to become a U.S.-based asset in 2008 during a visit to Lebanon, where his extended family clan was deeply enmeshed with the group (this included two brothers and his father, who once illegally entered the U.S. through the U.S.-Mexico border). Kourani allegedly told of how, at just the time he qualified for U.S. citizenship in 2008, he received some initial cloak-and-dagger tradecraft training and was sent to his new homeland, America, with his first easy assignments. He was to apply for U.S. citizenship so he could get a cherished U.S. passport, videotape an armory and FBI office, and gather names of local Jewish businessmen or high-ranking Israeli Defense Forces veterans worth killing. He also sent back to Lebanon intelligence about how passengers disembark from planes at John F. Kennedy International Airport, how U.S. Customs officers screen and collect luggage, and the locations of security personnel, cameras, and magnetometers. But much more was to come after he achieved citizenship in 2009, and he would need to prepare. Kourani told the FBI he understood that in the event of war with Israel, he could be called home to fight; that this was expected of all Unit 910 agents throughout the United States, Canada, in Latin America, and across the globe. 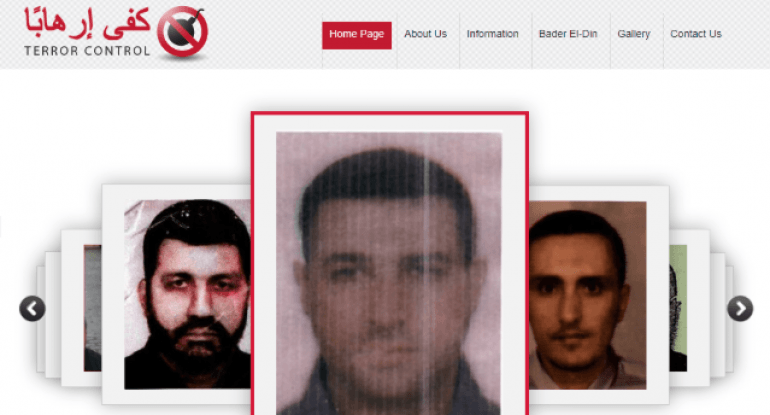 Kourani believed he and many of the others were overseen by a ranking Hezbollah handler in Lebanon known only as “Fadi.” In July 2011, according to the court records, Fadi summoned Kourani to the homeland for more and better weapons training. Rarely disclosed FBI 302 reports in U.S. Department of Justice court filings for the ongoing case against Kourani show how it went down. In the southern Lebanon town of Nabatieh, a Hezbollah driver picked him up in a large van with blacked-out windows. Kourani was handed a black balaclava-style mask and told to get in the back of the van. A black curtain cordoned off the seats from the front ones so that trainees couldn’t see one another as new ones were picked up. Soon, he and about 25 other operatives were being driven about an hour and a half to Birkat Jabrur. FBI-provided photos of weapons that Kourani identified as having trained with in 2011, from court documents. To get an idea of what weapons he trained with, FBI agents showed pictures that Kourani would mark with an “X.” They were both semi- and fully automatic rifles, such as an MP-5. He trained on a shoulder-fired grenade launcher and a Russian-made, belt-fed machine gun called a “PKS.” He worked with the classic AK-47, assigned to him throughout his time at Birkat Jabrur. His favorite was a Glock handgun, and he noted that the MP-5 conveniently took Glock handgun ammo. About six months later, back in New York, “Fadi” instructed Kourani to seek a job or develop contacts in the New York Department of Motor Vehicles. The purpose was so that he could find a supply of fraudulent documents, like U.S. passports, birth certificates, and Social Security cards, that could be used to support passport applications. These could all be used by other Unit 910 agents “for operational purposes” and to “mask their operations.” Unit 910 operatives used documents just like these that same year to carry out the Bulgaria bus bombings that killed Israelis. Kourani was told U.S. passports were especially prized, maybe lost or stolen ones, if he could possibly get his hands on them. At one point that year, Fadi asked Kourani to obtain external hard drives, readily available at big-box retail stores, because Unit 910 used them to protect their most sensitive information, and they could be easily transported and secured. Also, “because Hezbollah never kept sensitive information in offices where they could be susceptible to unauthorized entry and theft.” It’s unclear if Kourani procured these readily available devices and sent them over. Fadi gave to Kourani another mission: Locate storage spaces where firearms and a legal explosive known as “samad” could be stockpiled. 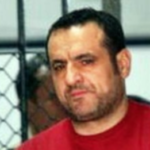 “Korani stated that samad is popular in Lebanon and … can be utilized to manufacture explosives.” The purpose: build a capability for 910 to carry out “assassinations and attacks in the U.S.” He also was told to purchase drones, night-vision goggles, and high-powered cameras so that Hezbollah could work with Iranian or Russian friendlies to duplicate the technology. At first, the plan was for Kourani to open front businesses that required the leasing of office space for the weapons and samad. Kourani went to some lengths to explore what it would take to open a business. But he said he pushed back, arguing that storage facilities required far less discoverable personal documentation, and he knew them well — Kourani had used them for his side gig: selling counterfeit clothing. He argued to Fadi, “they would not ask question if you paid the workers at the facility a few hundred dollars.” Kourani spoke of how he used storage units in College Point, Queens, and elsewhere. Kourani told the FBI he eventually provided the names of 10 people, many of them involved in counterfeit clothing businesses, that he believed could be counted on to acquire firearms illegally for him. But like all the other best laid assignments he was given, according to Kourani, he never followed through with any of it. Or so he always said. During his purported last meeting with Fadi in early 2015, Fadi told Kourani that Unit 910 was “changing gears.” The organization was starting to recruit Iraqi and Syrian Shia because “they would fall under less suspicion by intelligence agencies.” This seemed to be the end of Kourani’s association with the terror group. About a year later, Kourani visited the cleric in Lebanon who initially introduced him to Hezbollah recruiters. The cleric told Kourani that 910 was ridding itself of people associated with the unit because it believed some of them had been compromised.